Chorus pedals can add a colour and texture to your tone that few other pedals can offer. 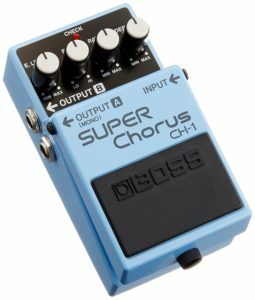 A chorus pedal works by taking your guitar signal, then doubling it – to give the impression that multiple instruments are playing. Controls on the pedal allow you to change the “rate” and “depth” of the tone. Some pedals will offer a “level”, “eq” and sometimes even more ways to alter and dial in the tone you’re after. This can be a heated debate, but in our opinion, there are great examples in chorus pedals in both analog and digital formats. So our advice, don’t let it narrow your search…give them all a chance. 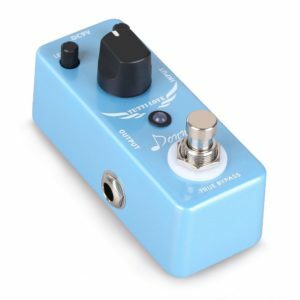 So what is the best chorus pedal for guitar? Let’s find out. If you’re on a budget, here are our best picks for a chorus pedal. The Donner Tutti Love Chorus Guitar Effect Pedal offers true analog bypass. This means that when the chorus is not activated, your signal won’t be altered by the pedal. The Donner Tutti is a no frills, small casing chorus pedal that will definitely do the trick. Solid button construction and a glassy tone, it’s a great start into the chorus world. There are controls for “level”, “rate” and “depth”. Whilst a little more expensive that the Donner Tutti, the Mooer Ensemble King is still a very affordable pedal. Offering the same controls as the Love Chorus, “level”, “rate” and “depth”, this is a basic chorus offering. 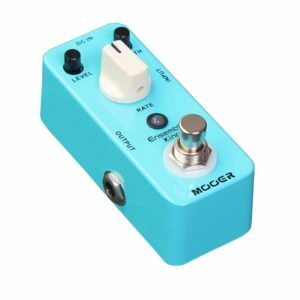 Mooer has built a name for offering amongst the best compact pedals. If you can afford a little more, here are our best picks. No “best of” list for guitar pedals will go without mentioning a Boss pedal. Whilst not at the top of the range, Boss are arguably the biggest name in pedals. Value for money, reliability and quality are there in almost every pedal. The Stereo Super Chorus gives a little extra…you guessed it, stereo output. On top of the ability to produce a stereo output signal, the Super Chorus gives you a “level” and “eq” control, in addition to the “rate” and “depth”. 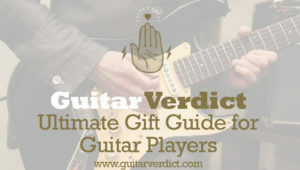 This just means you have more options to dial in a nice tone. Next up in the moderate price category is the MXR M234 Analog Chorus pedal from Jim Dunlop. 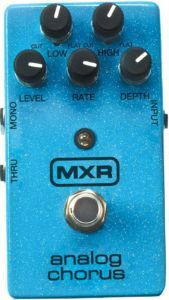 The MXR offers a 2 way “eq” in addition to the “level”, “rate” and “depth” controls. This is an analog pedal, using “bucket-brigade circuitry” to provide the tone. So if you’re an anti-digital player, this is the option for you. This is the chorus pedal that Kurt Cobain made famous. Indeed, it is visible in footage from the Nirvana Unplugged footage. 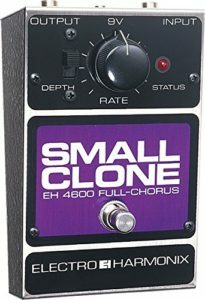 Listen to “Come as You Are” and you’re hearing the Small Clone from Electro Harmonix. It offers a super simple design with just one dial to control “rate”. There is a switch to alter the depth. The larger body gives is a robust look, it’s a great option. The TC Eletronic Corona Chrous offers two different settings. Classic TC Electronic SCF pedal and a TriChorus, as well as a custom TonePrint setting. This allows you to download presets used by pro artists onto your pedal. This is done via a USB connection to your computer, or wirelessly with a smartphone. 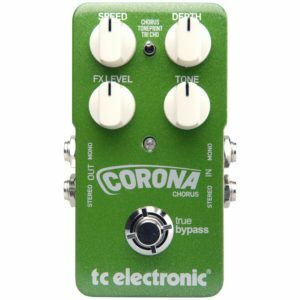 The Corona has a “speed”, “depth”, “color” and “level” controls, as well as true bypass design. It has been around for 25 years and is a real leader in this category. For those with no concern for budget, there are a massive range of boutique and deluxe options. Here are our favourites. Another option from Electro-Harmonix, this time it’s the super versatile Polychorus XO. 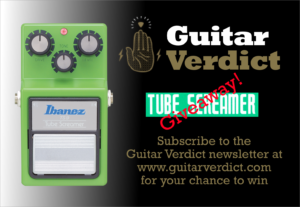 This pedal adds flange effects to your finger tips, providing even more options for rich, glimmering tone. You can selecrt the all analog chorus or flange…as well as double track and a filter matrix. Doule Track is a slapback delay sound. The Filter Matrix mode disengages the sweep flange adjustment for manual flange tones. 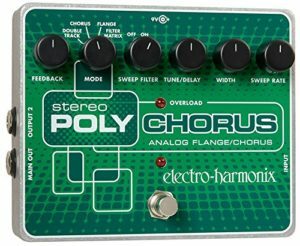 All effects on the Polychorus have control over feedback and tune/delay. There are stereo outputs on this bad boy, rounding out a huge set of features. 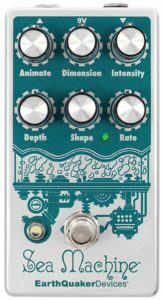 The Sea Machine V3 Chorus from Earthquaker Devices takes control in your chorus tone to new levels. “Animate”, “Dimension” and “Intensity” introduce new ways to dial in the eq, with seemingly endless options for you to play around with. The shimmering sound, or “waveshape” can be controlled from triangle to square wave. More range has been added to almost every control to allow subtle modulation to extreme oscillation. There is also improved circuitry for better performance and lower noise output.